BEAUTY PRODUCTS I AM LOVING AT THE MOMENT..
Hope you are all having a nice week end, despite the disgusting weather: I am freezing! Tonight I want to share with you few products I am really enjoying at the moment, for various reasons: easy to use, smart, time saving stuff or just good cosmetics that have gone beyond my expectations. This ointment for the lip has become one of my must have during this winter, thanks to its light texture and its moisturising action: it has been a life saver considering I have been using matte lipstick a lot (ruby woo I am talking to you!). I bought these back in July in a pound shop and now, my biggest regret is I didn't buy any single pair available in the shop. 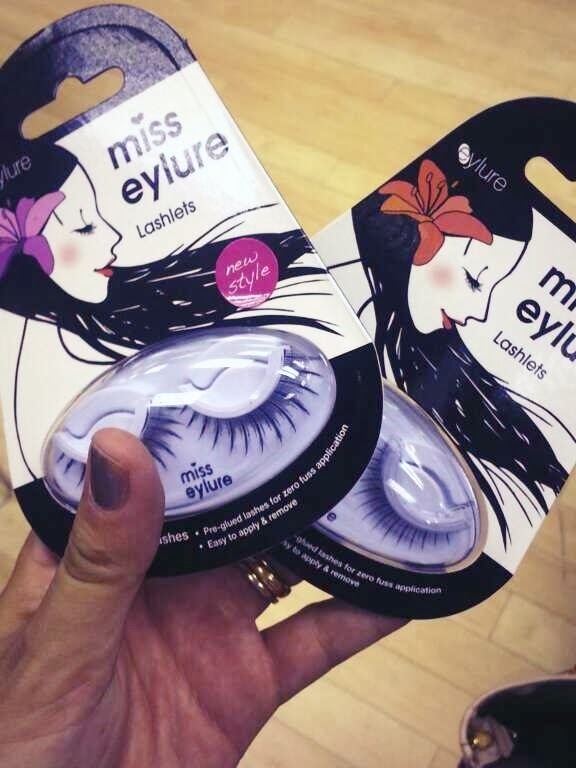 These are pre-glued falsies that won't require more than two minutes to be placed even if you don't have a very steady hand. I am normally quite good with false eyelashes and glue but I must admit these saved me a lot of time when I was in a rush to get out of the house without being beheaded by my Perfect Husband. I love the design as well, quite natural really, I don't like a too dramatic effect. This oil should be in every single bathroom of the country. The texture is extremely light, it doesn't make my hair look greasy, it smells divine and I only need few drops. I use it on wet hair and few more drops on dry hair before using my GHD and the result is salon-proof: smooth, shiny, soft effect. Keep an eye on the Avon catalogue on the website because there are always interesting offers on hair products, I got the shampoo, the conditioner and this oil for £5 in total! Rodial is a brand that really intrigues me but, due to a very unfriendly price tag, I didn't have the chance to play with a lot. Thanks to Glossy Box I got these two samples to try and, oh people, I am in love. The mask and the serum work as a real facial for my skin. it looks like I have just done a professional peeling. Skin is even, soft, smooth, tight and applying make up on such a base is a dream. Hurray! Essence is coming to UK! This low cost brand has been spotted around the country in few Wilkinson shop, hopefully it's just a matter of time until will be available nationwide. This brush is a flat applicator made in silicone that has proven to be excellent to pack glitters and pigment reducing the fall out on the cheeks (don't you hate when this happens?). It's bloody easy to clean and only costs a couple of quids. I will start by saying I don't have a clue about what does it say on the packaging of these masks I bought on ebay. I used all of them as normal face mask and I liked the yummi smell, the soft texture and the fresh sensation i felt on my skin after using them. ARE YOU READY FOR MANCHESTER FASHION WEEK 2014?